My name is Cesar Franken and I have been working at TOP Management Consultants since September 1998. Since then I’m helping organizations to perform better and above all safer. In 2005 I became a shareholder and since 2011 sole owner. In 1998 I graduated as a Chemical Technologist (Environmental Technology & Occupational Health) in Enschede. 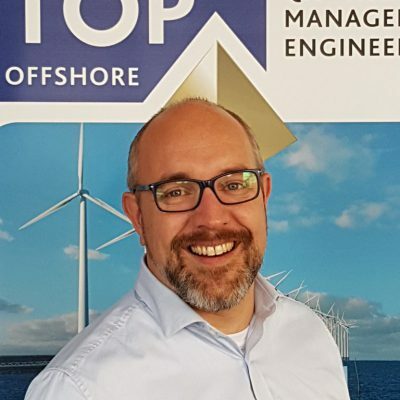 During and after my studies I worked as a permit provider/enforcer Environmental Management Act at the Municipality of Haaksbergen and as Environmental Coordinator at a manufacturer for valves in the process/offshore industry. Then I started at TOP Management Consultants. First as a management consultant, and since 2011 (also) as owner. Our TOP identity is that we sincerely want to do business, are involved with our customers and above all want to help them forward. Only doing things at the moment they matter. The question behind the question is part of this and the real need comes to the surface. Furthermore, I do not believe in beautiful plans and initiatives without a lasting effect. A change must remain extrinsically controlled in the beginning and we also like to fulfil that role. For me, operational discipline is an important keyword. In the end it is important that the change and the positive effects are permanent and sustainable. That is why, when entering a new customer or project, it is good to think about the moment when TOP is simply no longer needed. Only when we have achieved that, our work is done.